MELBOURNE, THURSDAY 6 AUGUST 2015: Australia’s future as a high technology, research-driven economy will depend on reversing 20-year trends in the mathematical sciences, according to a new report by the Australian Mathematical Sciences Institute (AMSI). Today, AMSI release their fourth annual Discipline Profile of the Mathematical Sciences. At a time when the Australian government is responding to the Chief Scientist’s call for a strategic plan for Science, Technology, Engineering and Mathematics (STEM) it is a reminder that we cannot continue to rely on piecemeal programs tied to the electoral cycle. The data collected for the 2015 publication paints a mixed picture of Australian engagement with the mathematical sciences. 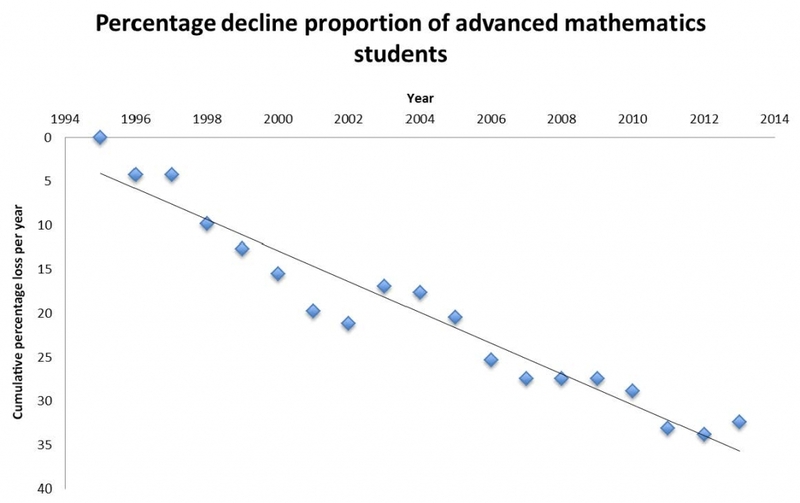 In fact, mathematics prerequisites for entry into science, commerce and engineering degrees are at historic lows. Intermediate and advanced mathematics subjects are the gateway to quantitative professions; the 20-year decline in participation is choking the country’s galloping demand for graduates with these skills. And it has the potential to halt the nation’s productivity growth. This figure is more than double the international average and must be repaired as part of our STEM planning. In order to secure the future supply of mathematics teachers we need to know why potential educators aren’t choosing to be maths teachers. The only immediate solution is to provide professional development to the many conscientious and professional educators teaching maths out-of-field. This is a national issue requiring national leadership; state and federal governments must act together to solve the teacher supply problem. 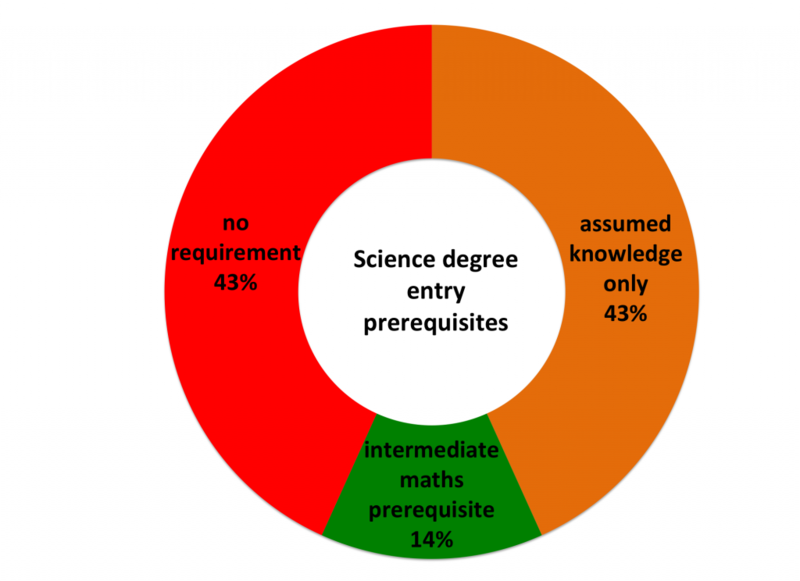 The proportion of females represented at all stages of the mathematics pipeline is inadequate. A significant consequence of this is that female adult numeracy is below that of males – around 30 per cent in some age groups. And, in terms of the national economy, it is widely recognised that weak participation by women in STEM fields is handicapping Australia’s productivity and competitive advantage. “We are proud to be working with the BHP Billiton Foundation to increase participation of girls and women in study and career pathways involving mathematics and statistics,” says Professor Prince. 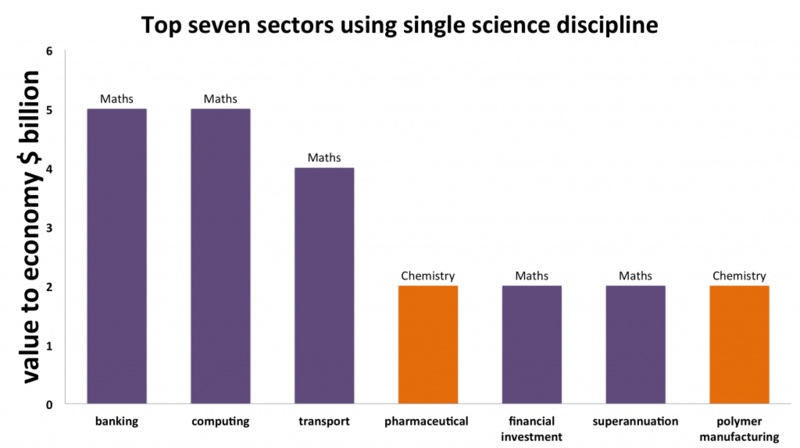 A 2015 report by the Australian Academy of Sciences indicates that, of those business sectors based on a single core discipline, mathematical sciences account for the top three (and five of the top seven). The report also highlighted that the direct impact of advanced physical and mathematical research is worth $145 billion to the economy per year, the flow-on impact amounts to $292 billion per year. This is in stark contrast to 54 per cent of adult Australians having only basic numeracy skills and the proportion of Year 12 students studying “harder” maths in steady decline. Increase the number of girls studying maths and women employed in the quantitative professions.